Here at Moore & More Plumbing, we like to be able to work with each client to review with them the choices that they have, such as whether to opt for a gas water heater or not. Having the opportunity to learn about your options for gas water heaters in Austin is the key to making the most of our plumbing. It is also essential in order to be a wise consumer and a savvy homeowner. The last thing that you want to do is make a decision based on little to no information. The problem is that not all plumbers care as much about the level of care they provide for their clients. To us the job is about so much more than the work we do on the system we are working with, it is about providing customer satisfaction. For over 30 years now we have been the local leading Austin plumber for this type of work. 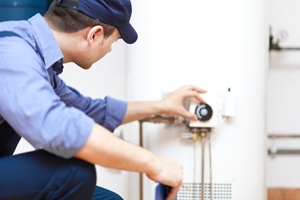 Our highly skilled plumbers execute gas water heater repair and installation services with the best quality in mind. Plus, they arrive neat and in uniform and are as courteous as they are informed on the subject of this trade. This is a great way to save some green by going green! A gas water heater is more cost-effective when it comes to monthly energy bills so you will see savings right there. Plus, it certainly doesn't hurt that this is a more Eco-friendly way to go. So you can feel better about your household leaving less of a carbon footprint. An on demand gas system is just that. It means that you won't have to waste fuel while the water heats up for your use. Immediate access to hot water is a win-win for you and your loved ones. It is also widely known that gas water heaters produce cleaner water. Systems with tanks end up with hard mineral deposit buildup and rust all breaking down and making your water a lot less clean than it should be. So keep it clean and opt for gas. Although these are only a few of the pros associated with going with gas, it gives you some idea why this is a popular choice. 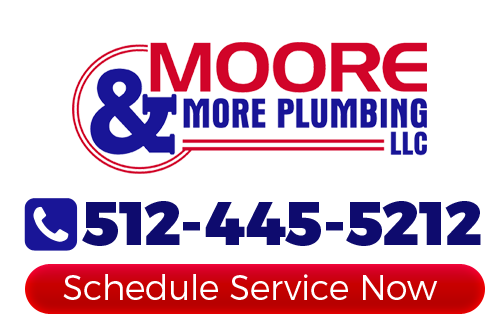 Moore & More Plumbing is the only name that you need to know for gas water heaters in Austin, or for any plumbing related service need. We take this line of work seriously and that is evident with the customer satisfaction rating we get. So get in touch with us right now to get started. If you would like an estimate for gas water heaters in Austin, please call 512-445-5212 or complete our online request form.